Blog contests are an often-overlooked way to win prizes. Many blogs offer fun giveaways with far less competition than most online sweepstakes. Plus, blogs that you enjoy will usually give away prizes you are sure to love since parenting blogs usually give away prizes for parents, whereas video game blogs usually give away video games. Here's how to get started winning with blogs. The word "blog" comes from the original name for online journaling: "weblog." The first blog, which belonged to an American journalist and student, went online in 1994. Originally, blogs were little more than online diaries. 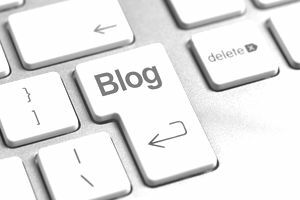 Today, however, blogs serve both personal and business purposes, and both types of blog can earn good money for their owners if they bring in enough readers. So many bloggers run giveaways, called blog contests, to help promote their writing and bring in more traffic. Blogs and sweepstakes go well together. Bloggers attract new readers when they hold giveaways, companies can build buzz about their products at a low cost and with low risk, and sweepers get chances to win prizes, often with very good odds. Most blog contests let you enter by posting a comment on the blog post that promotes the sweepstakes. Some blogs offer an entry form, whereas others require you to make a post about the contest on your own blog. Many blog contests use a program called Rafflecopter to manage their sweepstakes. With a Rafflecopter account, you can easily sign into these giveaways. Usually, these kinds of blog contests give extra entries for performing various actions like referring friends or following partners' blogs. Want to Give Blog Contests a Try? The Online-Sweepstakes.com (OLS) directory doesn't have a separate section just for blog contests, but they do offer blog contest filters. This lets you find blog contests in any of their categories such as one-entry sweepstakes or cash sweepstakes. There are usually hundreds of blog sweepstakes listed on OLS at any given time, and you can view the available giveaways by prize type, entry frequency, age, and more. Sweepstakes Advantage (SA), another large sweepstakes directory, offers hundreds of listings in their blog contest section. If you want to spend some time concentrating on blog giveaways, going straight to that section will let you scan the available giveaways for the prizes you want to enter and win, saving you time. You can also use the SA website to track your entries and to see how popular contests are with other sweepers. Contest Girl's blog sweepstakes section offers opportunities to win. You can add the giveaways that interest you to your own "My Sweepstakes" list, which is helpful for tracking the sweepstakes you've entered and for marking giveaways that you want to revisit to enter daily. Unlike the other sweepstakes directories listed above, GiveawayJunkie is geared specifically for blog contests. Because of this, the blog giveaways are numerous and well organized, though you won't find many of the other types of giveaways that other sites list. One nice feature that GiveawayJunkie offers is that you can sort or filter your listings by a number of different factors like expiration date, sweepstakes with low entries, and the type of blog contest. That means that if you don't like to enter Rafflecopter sweepstakes, for example, you can just filter out the contests that use it. Giveaway Promote is a site that lets bloggers spread the word about their contests. It's intended only for blog giveaways, and bloggers can pay additional money to have their contests featured. It gives you some search options so that you can filter by prize type, entry method, the number of people who have already entered, and more. You can also filter based on your location: US, Canada, or Other Locations. When you find blog contests that you want to enter, be sure to take the time to check out the blogs behind them. If you like the content, follow them (signing up for emails or following on social media are good ways to do this, and it might even earn you extra entries into the contest). Not only does following the blog encourage the blogger to hold more contests, but it also helps you be among the first to hear about new giveaways in the future. Entering blog contests is a lot of fun, and you can find interesting new sites to read while you win prizes. Why not give it a shot right now?